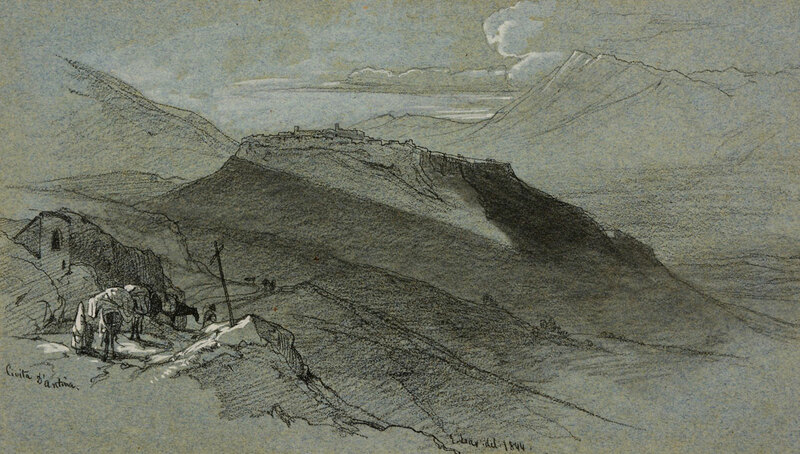 Edward Lear, Civita d’Antino, 1844. Black chalk, pencil, heightened with white, on light blue paper. Signed and dated 1844 lower right, inscribed Civita d’Antino lower left. 16.5 x 28.5 cm. (6 1/2 x 11 1/4 in). John Scandrett Harford (1787-1866); thence by descent to the present owner.